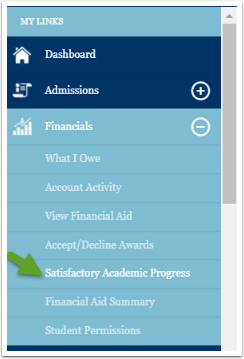 Purpose: Use as a reference for how to view and accept or decline financial aid in your Student Center using the college Mobile Application. 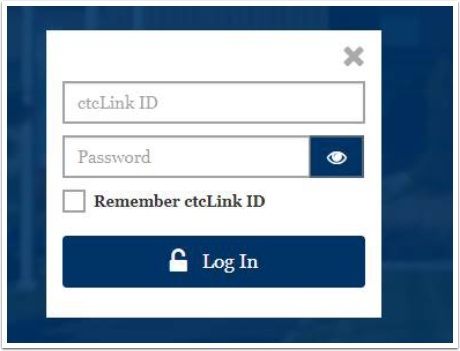 Log in using your ctcLink account username and password. 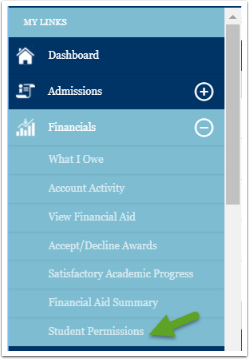 Click on the Financials menu item. 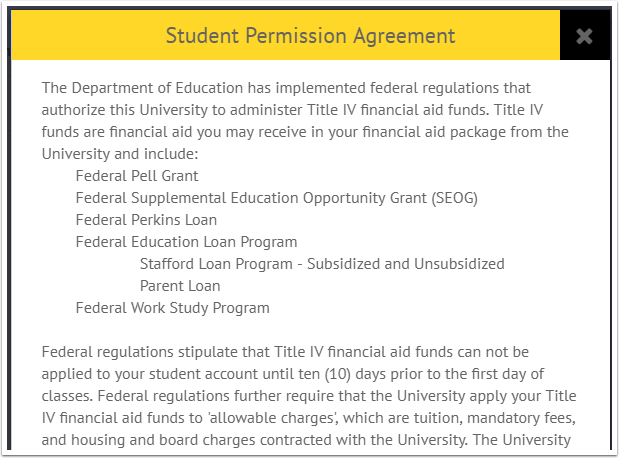 Click on View Financial Aid. Click on FA Shopping Sheet. 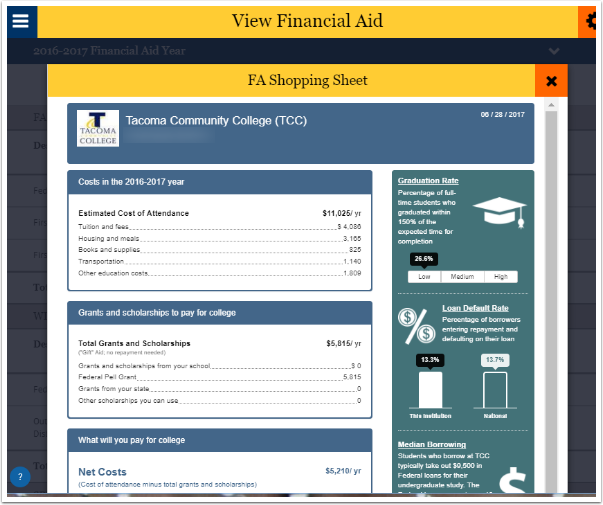 The sheet displays information on all your costs, aid and loan repayment. To accept or decline Financial Aid, click on Accept/Decline Awards. Accept or decline the items listed. 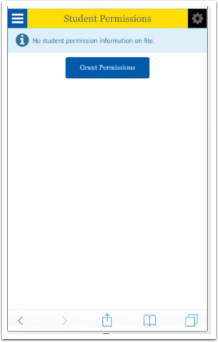 Click the Accept or Decline button. You should see a green transaction complete message. 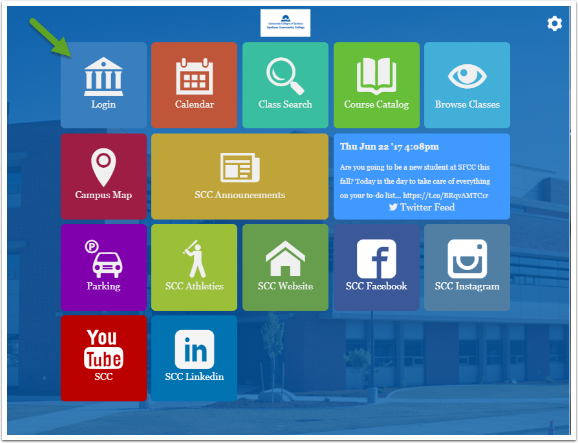 You should see whether or not you meet SAP for each term. 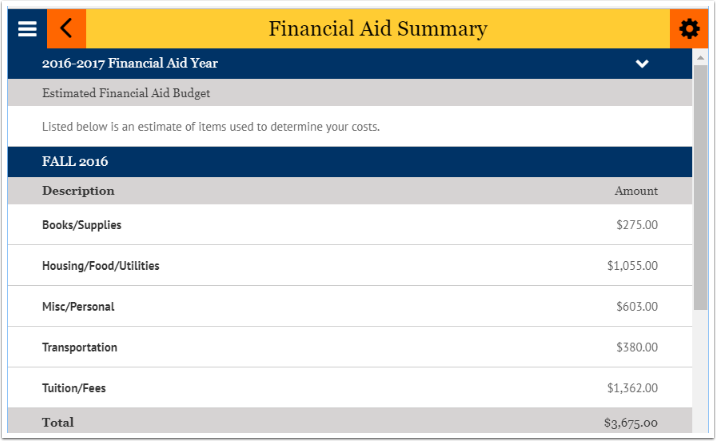 Click on Financial Aid Summary. You will see your estimated budget. 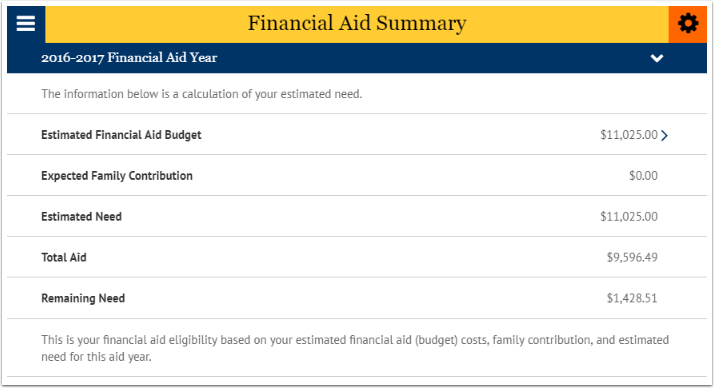 Click on the Estimated Financial Aid Budget to see details. 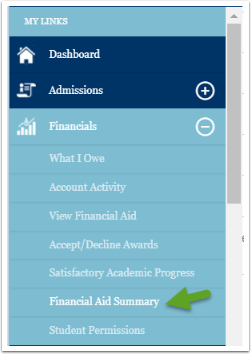 To grant Student Permission for Financial Aid to be applied to a term other than the current term, click on Financials. 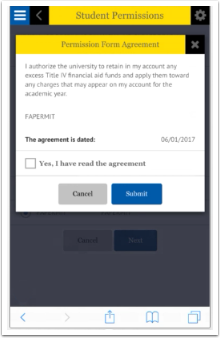 Read agreement and click Next. Click "Yes, I have read the agreement". 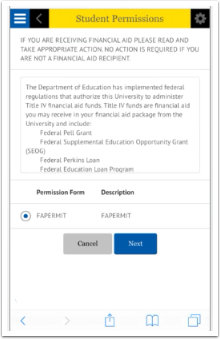 If you form was submitted correctly, you will receive a confirmation. 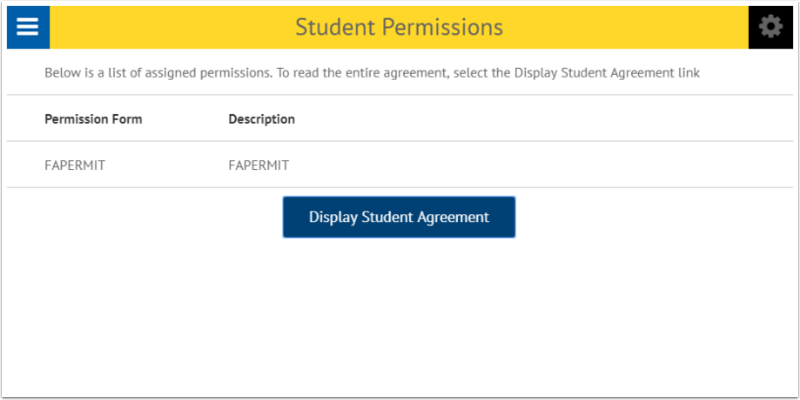 If you have already completed the Student Agreement you will see the Display Student Agreement button. 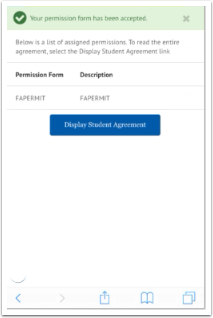 When you click on the Display Student Agreement button you can view the agreement details.